Projects like these are the result of cooperation among a large number of people and organizations. This page contains electronic links to some of the major contributors to our programs. We encourage you to visit the web sites of our partners and learn about the many opportunities they provide for teachers and students. The Field Studies Council is an environmental education charity committed to helping people understand and be inspired by the natural world. Thousands of students every year experience the FSC through fieldwork and cross-curricular courses at their network of 17 centres across the UK. 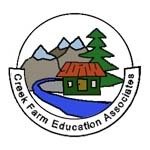 In the United States, Creek Farm Education Associates provides the organizational structure and expertise for development of educational materials, the delivery of ecological field technique courses and the arranging of new field trips and expeditions through America and Russia. The Burns Telecommunications Center at Montana State University has provided the technical expertise and administrative support for telecommunications. The Department of Education at Montana State University awards university credit for ecological field techniques course work for teachers. In the Russian Federation Association Ecosystem and the Center for Field Studies has been responsible for development of educational materials and the coordination of participation of teachers from Russia. 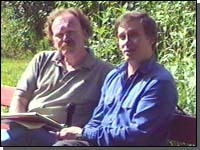 Finally the directors of this project Michael Brody and Alexsander Bogolyubov invite you to contact us for information about and participation in our projects.